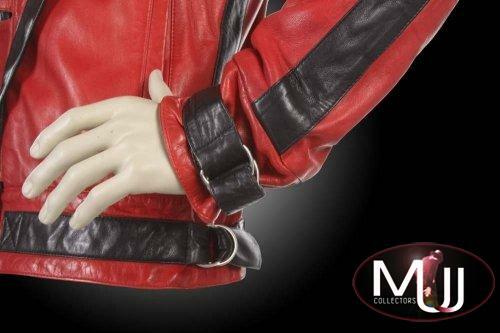 The iconic jacket worn by Michael Jackson in the "Thriller" video, which sold by Julien's Auctions for a record setting $1.8 million on June 25th, 2011. 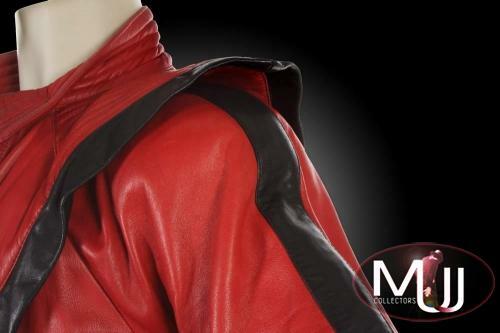 A black and red calf leather jacket with "Marc Laurent Paris" label featuring silver buckles at cuff, red silk lining, trapunto stitched collar, snap front closure, and signature winged shoulders. 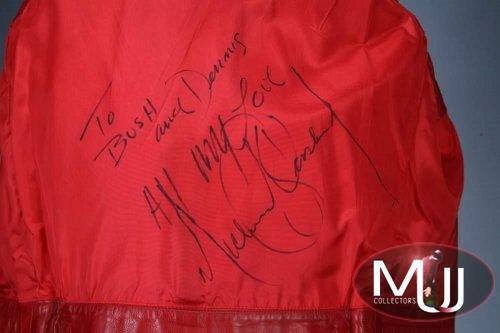 The jacket is inscribed on the inside lining in black marker "To Bush and Dennis All My Love Michael Jackson". 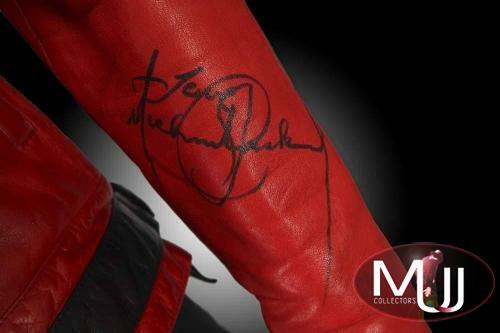 The sleeve is additionally signed in black marker "Love Michael Jackson". 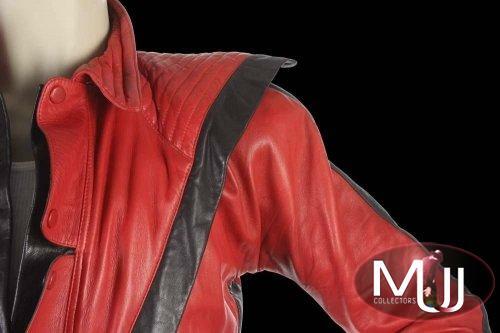 Among the most recognizable and famous garments of the 20th century, Michael Jackson's Thriller jacket sparked a 1980s fashion craze. 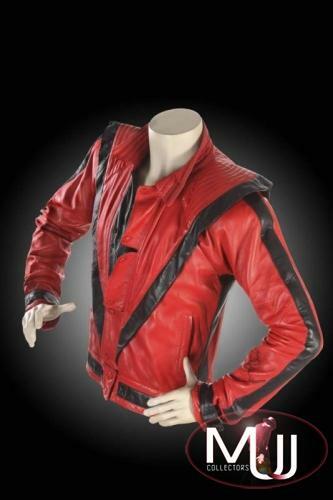 The jacket was widely copied and sold to adoring fans worldwide. 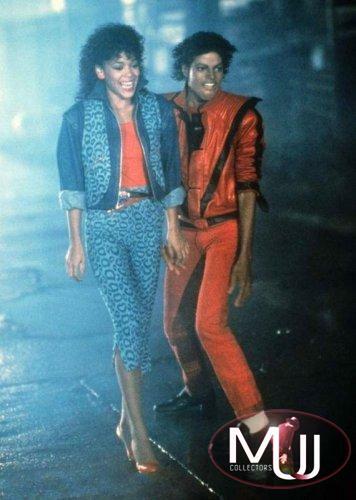 The black and red style of the jacket became so identifiable with Jackson's groundbreaking extended short film/ video for the single "Thriller" that he continued to use jackets of the same design when performing the song "Thriller" for the duration of his career. 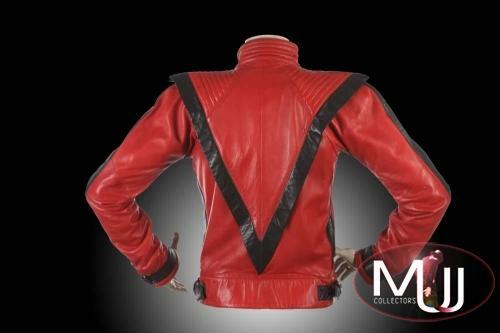 This jacket is one of two, designed by Deborah Nadoolman Landis, that Jackson owned and wore during the filming of the epic video for the single "Thriller." 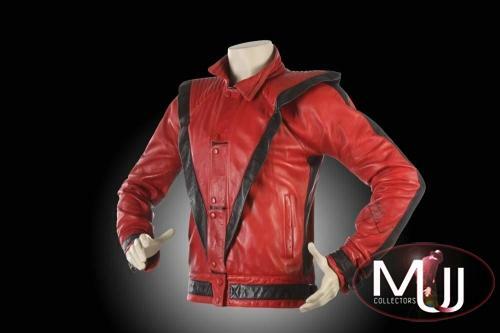 The other jacket is on display at the Rock and Roll Hall of Fame in Cleveland, Ohio, on loan from the Estate of Michael Jackson. 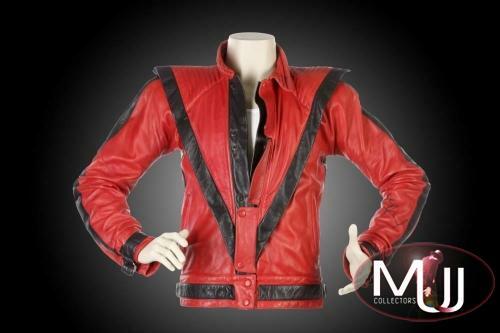 This jacket was given by Michael Jackson to his longtime costume designers Dennis Tompkins and Michael Bush, or just "Bush" as Michael called him. 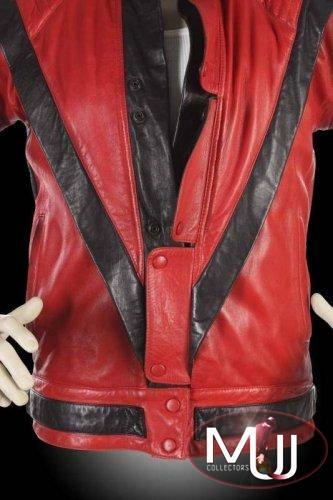 Jackson brought this jacket to Tompkins and Bush to be used as a reference for all of the subsequent concert versions of the "Thriller" jacket they would in turn make during their decades of working exclusively for Jackson. 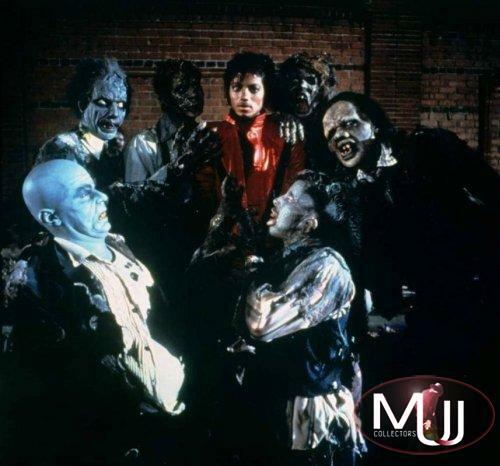 When he first brought it to them, they reportedly asked if he could really dance freely in the jacket, to which Jackson incredulously replied, "Have you seen the video for 'Thriller'?" Clearly, Jackson performed some of the most iconic choreography of our time in that video, without difficulty, while wearing the jacket. 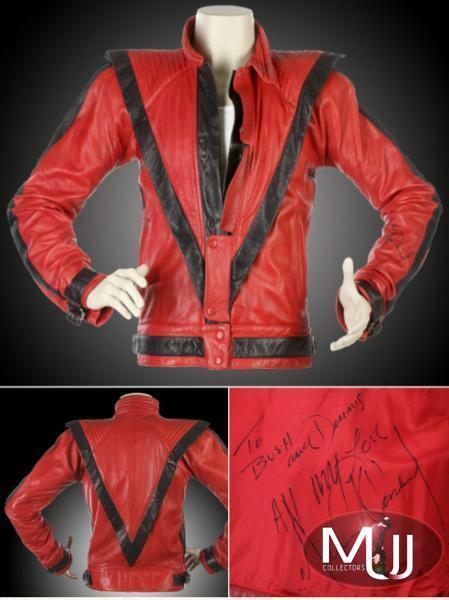 At a later date, Jackson officially gifted the jacket to the designers, at which time he added the inscriptions to the left sleeve and interior lining. 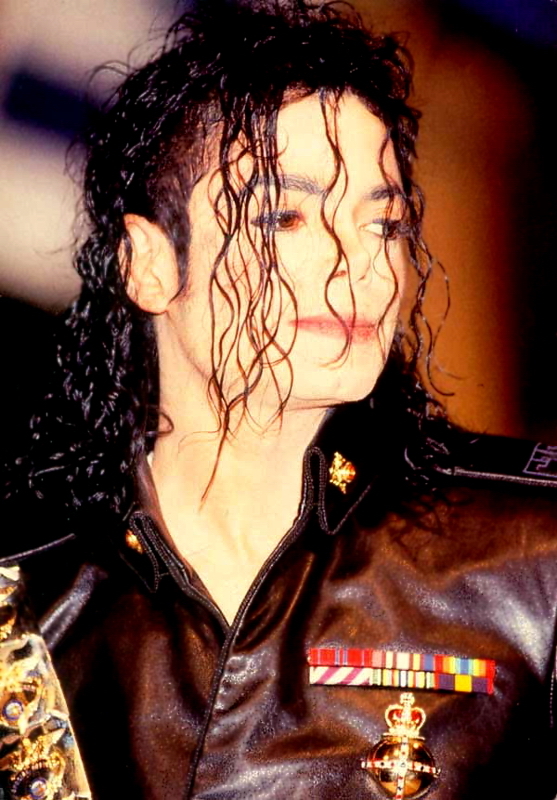 Sold by Julien's Auctions (Lot #493) for $1.8 million at their 2011 Music Icons auction. All screen captures are the property of their respective owners.